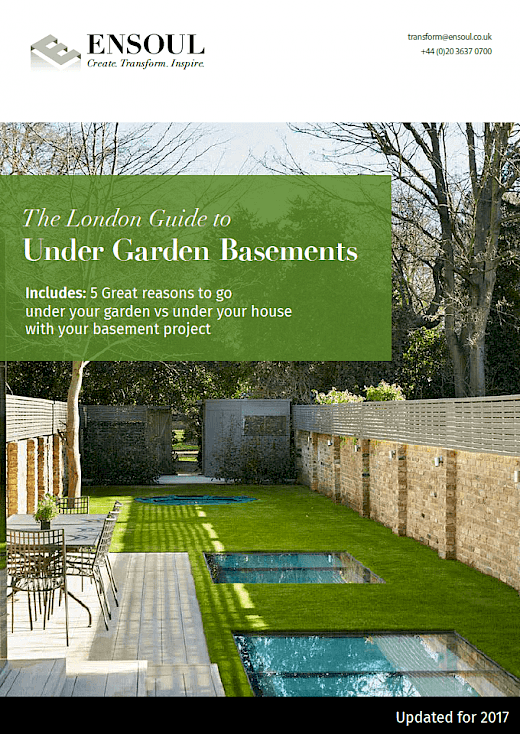 Interior Architects and Designers for: Two new builds on an exclusive private road in Reigate. 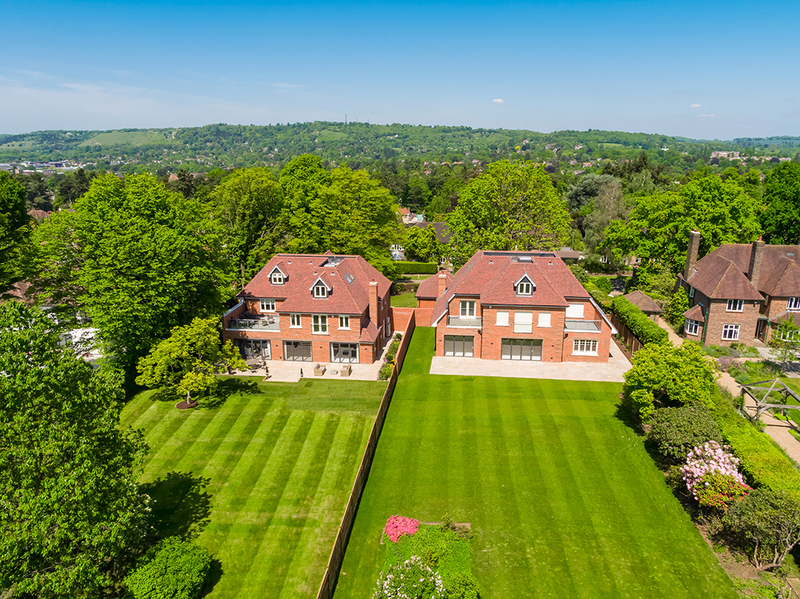 3-storey luxury family home with 5500sq ft on an exclusive private road in Reigate, Surrey. 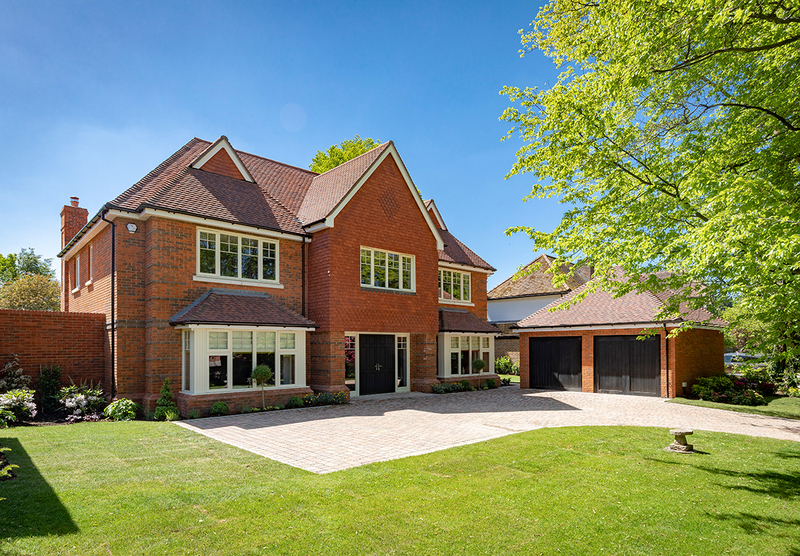 3-storey new build house with 5500sq ft of luxury living on an exclusive, private road in Reigate, Surrey. Large Kitchen, dining room with two tone and glass mix kitchen cabinetry, porcelain floor and open shelving to lighten the look. View from this luxury kitchen in a newly built home in Reigate. Luxury kitchen of a newly built home. 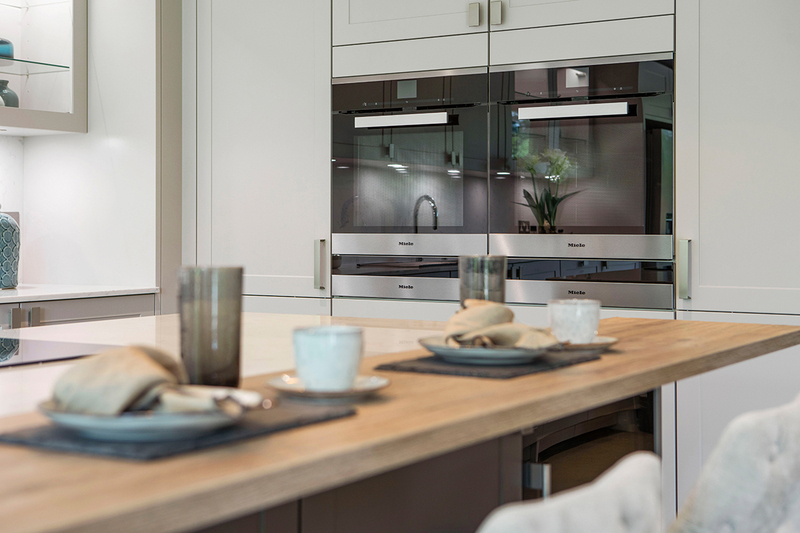 This shot features Miele ovens and warming drawers, Oak breakfast bar and can just see a corner of glass display cabinets. 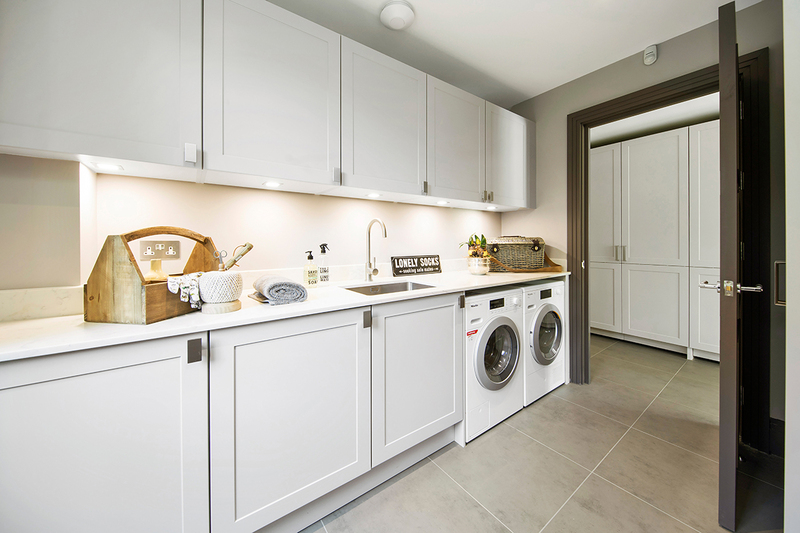 Laundry room for a 5 bedroom luxury home in Reigate. 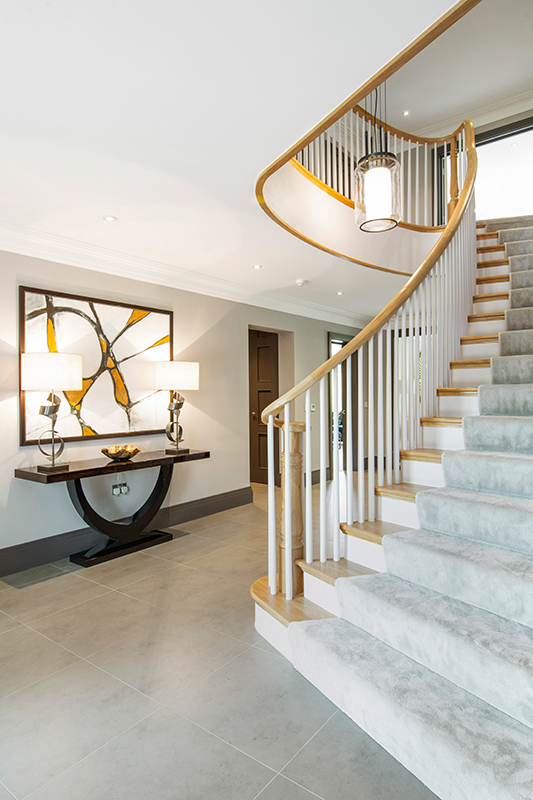 Entrance hall for a newly built 5500sq ft, 5 bedroom house in Reigate. 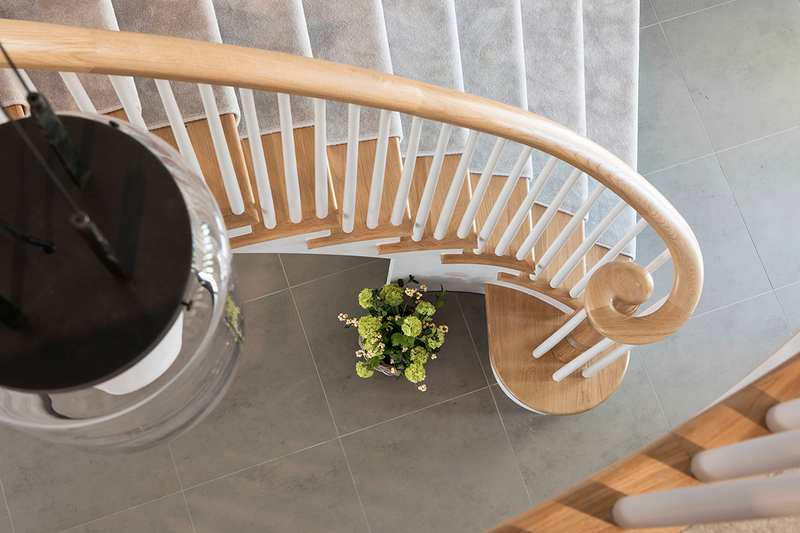 Features a sweeping staircase with carpet runner and porcelain tiles. 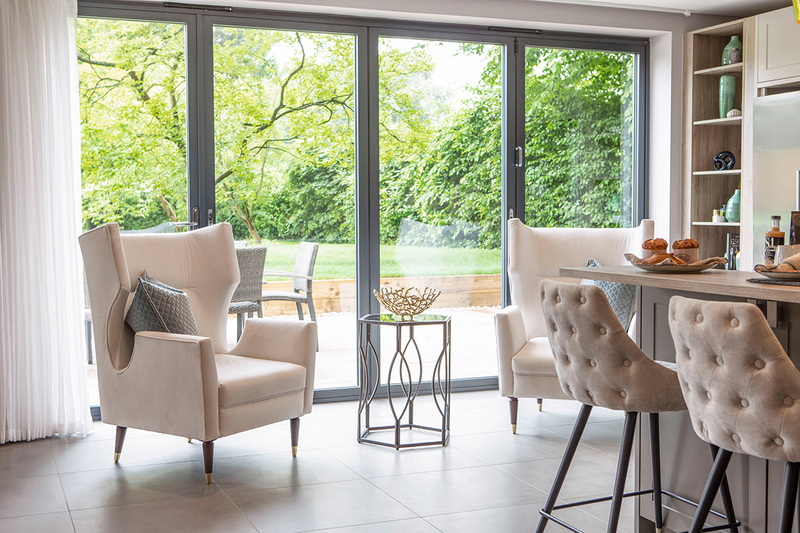 Glazed screen reveals an open plan dining area and kitchen. 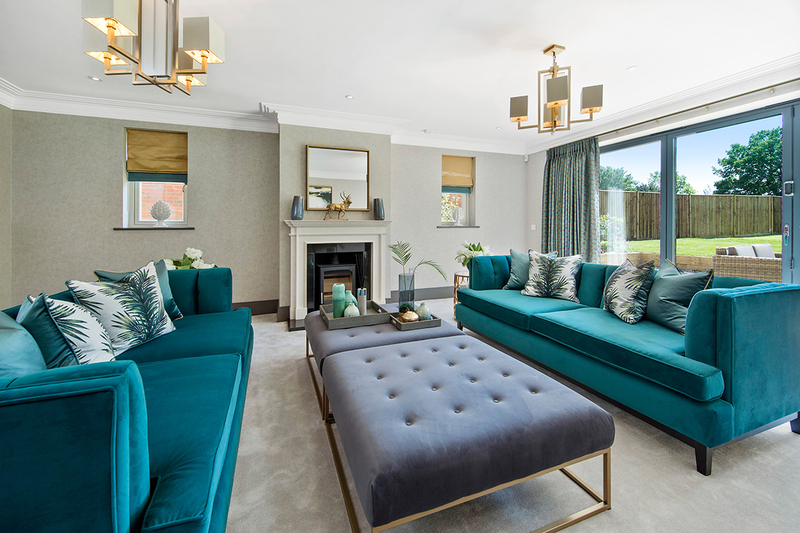 Sitting room for a 5 bedroom luxury newly built home in Reigate. 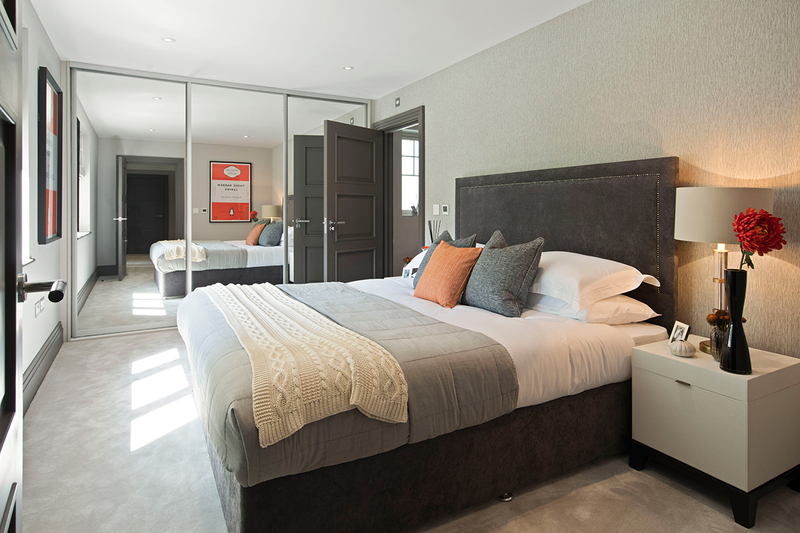 Luxury master bedroom with walk around dressing room and ensuite. 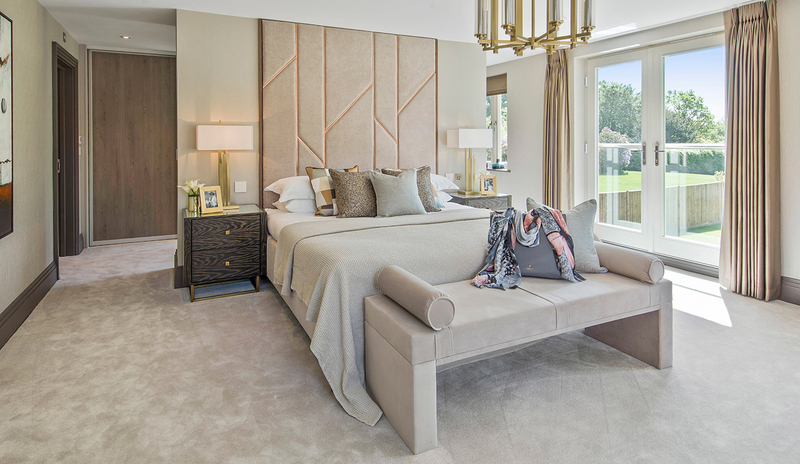 Master bedroom with walk through dressing room. Walk in dressing room off master bedroom. 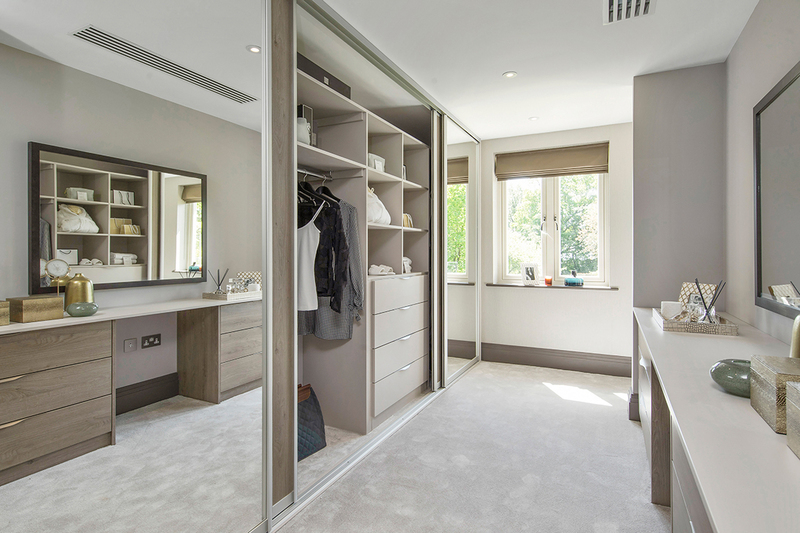 Features sliding door wardrobe with bespoke dressing table opposite. 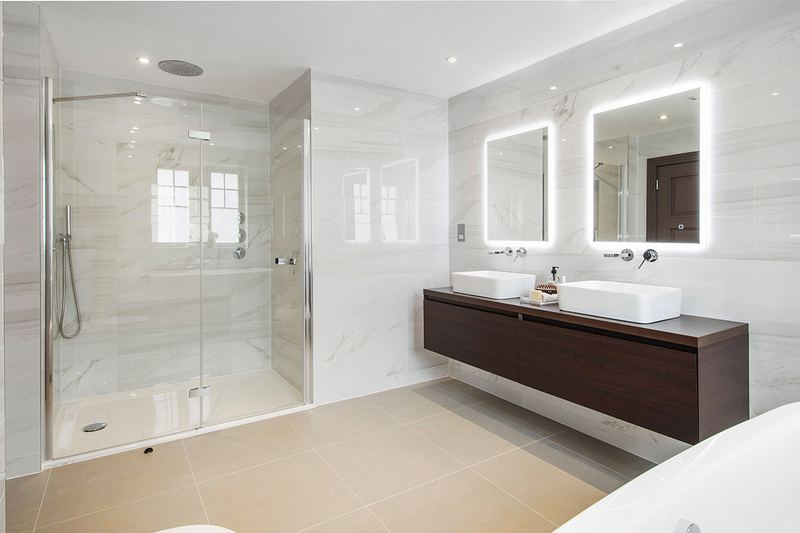 Master ensuite with double vanity unit, basins and bathroom mirrors. 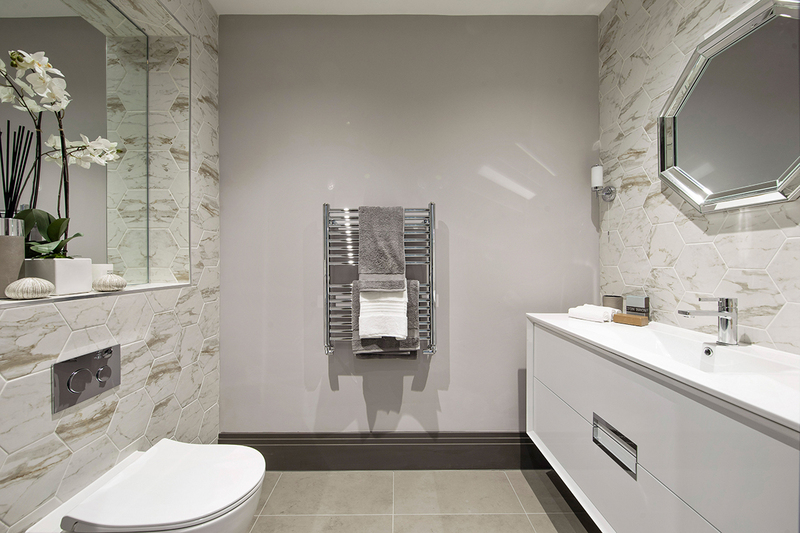 Large master ensuite with freestanding bath, generous shower, double basin and vanity. 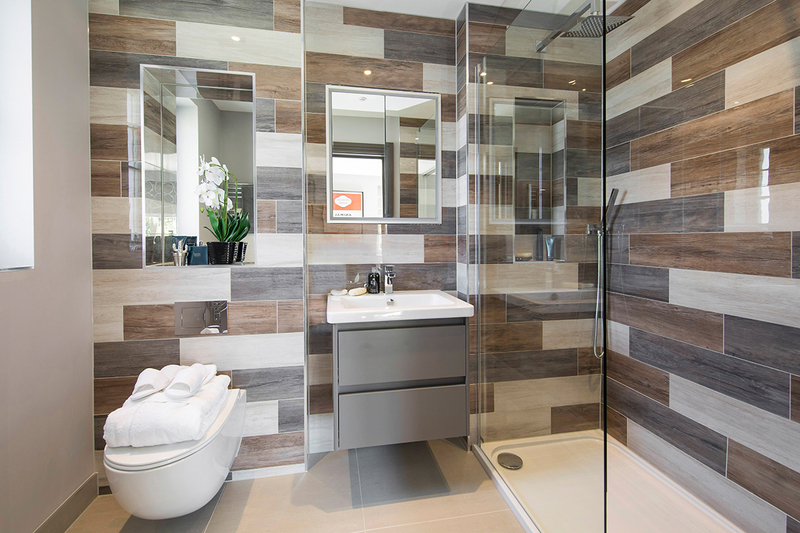 Mixed wood effect tiles give great impact to this ensuite bathroom. 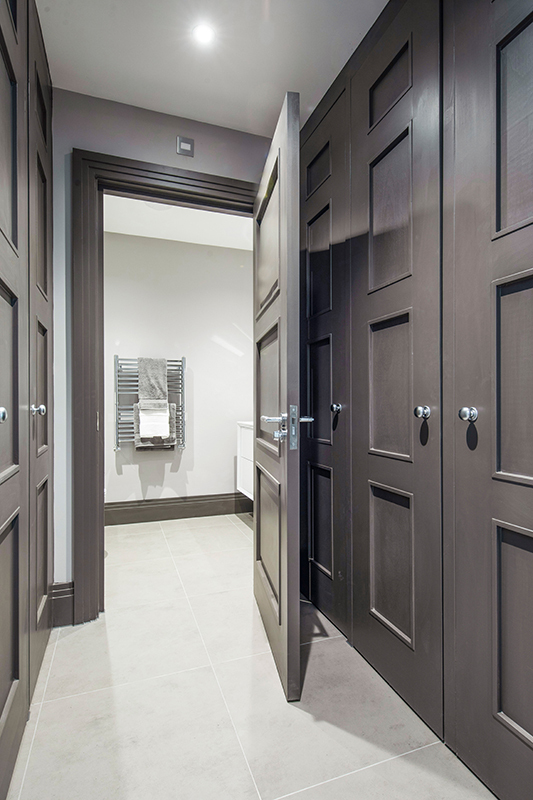 Ground floor cloakroom with lots of storage and WC at the end. Generously sized ground floor WC. 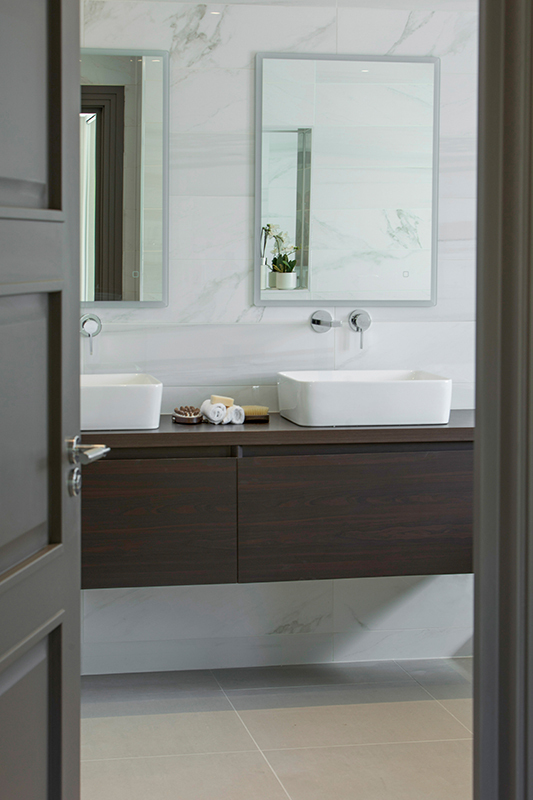 Features wide vanity unit and marble effect hexagonal tiles. 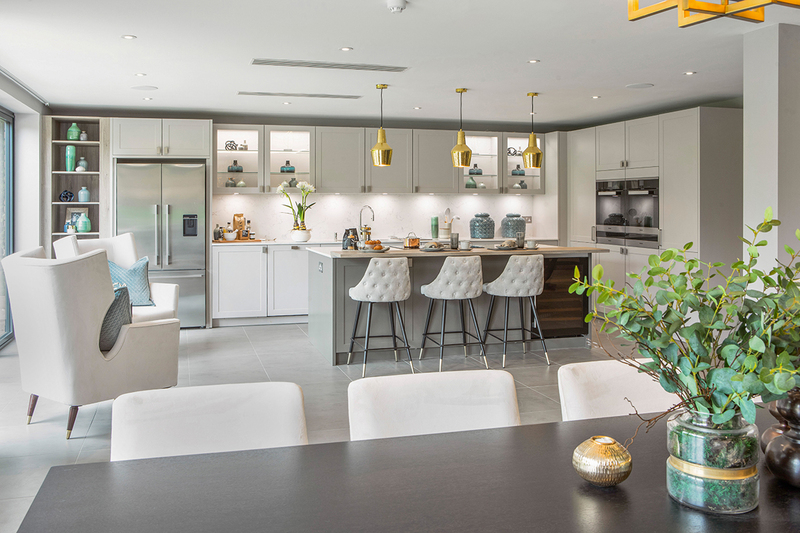 Ensoul was engaged as Interior Architects and Designers for two newly built, luxury, family homes, next to each other on an exclusive, private road in Reigate, Surrey. 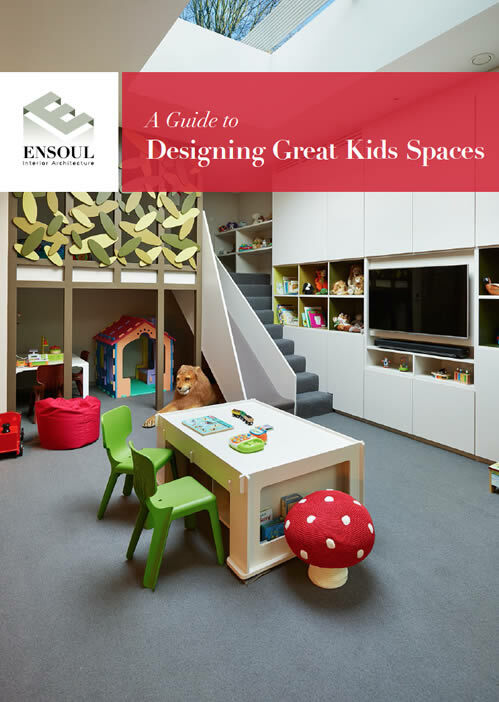 Each comprises 5500sq ft with 5 bedrooms all with their own ensuite. 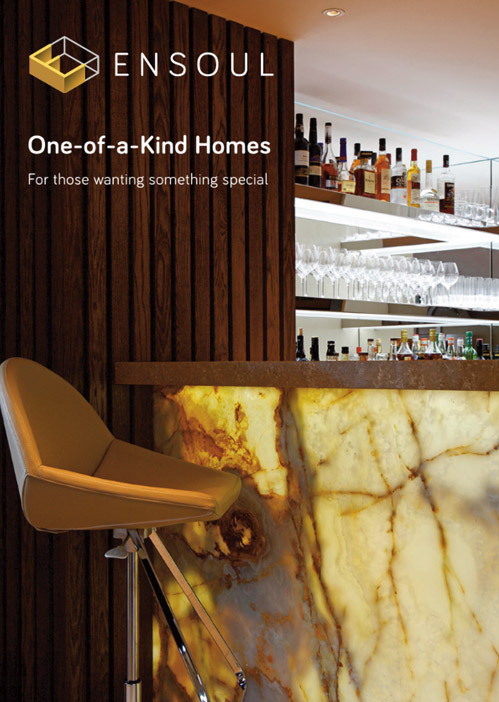 One of the properties was sold off plan and we worked with the buyers to specify all of the interior fixtures and fittings. 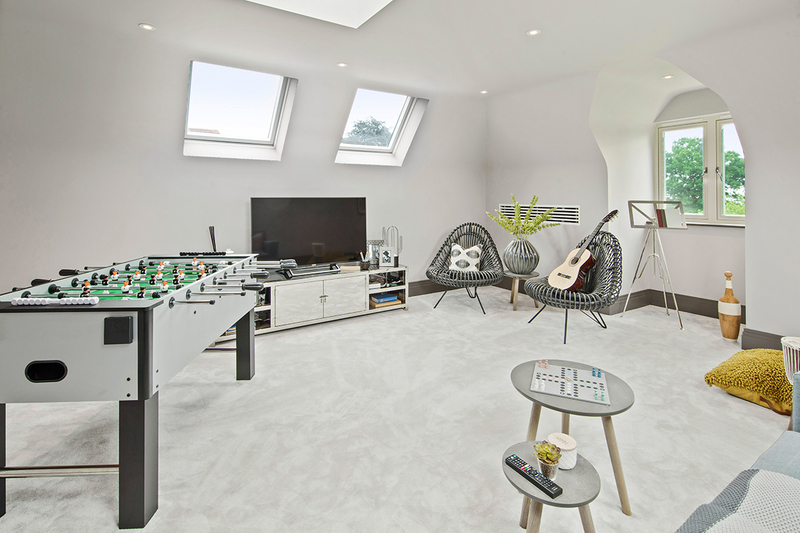 The other house is currently on the market for sale and we have been able to photograph the interiors. These are displayed in the gallery below.